It’s hard to find a decent horror movie these days. Although there have been a good number of horror releases in the past years, many of them qualify barely as average and most of them are simply forgettable. The problem is that most of these more recent films—take the “Insidious” series for example—seem to employ the same formula: jump-scare after jump-scare after jump-scare, after jump-scare… In short, most films have become predictable and, as a result, rather silly because you know exactly what is going to happen in the next five seconds. So what to do when you’re bored with lame, modern, sub-par horror flicks that can’t get the job done? I look for something older, something from the 80s, more or less—the Golden Era of horror films in my opinion. What thing am I talking about? Why, “The Thing,” of course. John Carpenter’s “The Thing” is the chilling tale about the demise of arctic U.S. Outpost 31 and its dozen inhabitants as they accidentally stumble across the “find of the century.” But why don’t I start from the beginning? The movie opens with a minor prologue that shows a UFO crash-landing onto the Earth’s surface. The scene then—as quickly as it began—ends with a cool introductory logo that consists of the title being scratched into existence, in a nice homage to the original film “The Thing From Another World.” The story then picks up many millennia later, starting out in the Antarctic region with a helicopter chasing after a… dog? (This plot point is explained later on in the film, and I shan’t spoil it for you, since most of the movie’s fun is the unravelling and unfolding of story elements.) The chase ends in the American research outpost 31, but not as you may expect, when the pilot actually attacks the researchers and is shot in the process. After identifying the man as a fellow researcher from a different outpost, Doctor Copper (Richard Dysart) and helicopter pilot R.J. Macready (played by the perfectly butch Kurt Russell, who starred in many other John Carpenter films throughout his career), decide to search for the other outpost and find out what happened there. Upon arrival, the two men are shocked to find the base ransacked and burnt to the ground. Scouring the remnants, they stumble across a large block of hollowed ice, along with reports and recordings. But they also find a partially burned, malformed corpse—the corpse of a man with two faces. Back at their homebase, an autopsy is performed on the corpse and it turns out that the body is, in fact, another life form. An alien that mimics other living beings through a form of single-celled assimilation! And thus begins the mass paranoia in Outpost 31, where men disappear and no one knows anymore, who is human and who is alien. I particularly enjoy this horror classic for its ability to retain many of Carpenter’s trademark aspects, while also presenting us with a kaleidoscope of dazzling special effects to flesh out this nameless extraterrestrial monstrosity. You simply cannot discuss “The Thing” without giving proper credit and props to the young and talented Rob Bottin, who was only twenty-three when he created the groundbreaking effects for this movie, using elaborate puppeteering and various other practical effects to shock viewers. Who knew that creamed corn and microwaved bubblegum could be so versatile? The usage of practical effects in this movie is also notable for its ability to keep the movie timeless, without dating it. To see that real models were used, instead of cheap looking CGI (like in the poorly received prequel version of the movie in 2011) helps keep the film visceral and provides goosebumps after goosebumps. 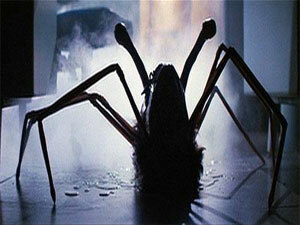 In the end, the movie offered up a beautiful bouquet of alien creepiness visualized on screen, while keeping just enough hidden in the shadows to retain the extremely ominous sense of dread and paranoia, combines with a solid dose of claustrophobia stemming from the confines of the claustrophobic outpost the story takes largely place in. Which brings us to the music of the film—an interesting aspect, for sure. John Carpenter is well known for composing and performing the music to many of his films, occasionally with the collaboration of fellow musicians, including iconic films such “Escape From New York,” “The Fog” and “Halloween,” of course. However, this is one is a strange exception. Instead of Carpenter doing his own music, he’s given the well-known Italian composer Ennio Morricone a chance. This partnership leads to a rather intricate mixture of strings and synths. This mixture is actually quite successful in doing its job. Personally, the creepy plucking in the background as a massive, mutating creature bursts out of an iced-over floor is one of my favorites. It’s a nice soundtrack overall, however it is notable that most of the music Morricone composed was actually unused in the movie (which is actually a good thing because most of it would have overdone things a bit) and that most of the movie’s score is actually a very simplistic beat that seems to come from the pen of Carpenter, no doubt. Much like the opening of the “Jaws” theme, its genius is its minimalism, and it is sure to give you a chill down your spine as the track beings to slightly build with synths faintly entering in the background. I do enjoy the score quite a bit, and I listen to it frequently as a standalone soundtrack, but part of me wishes nonetheless that John Carpenter had done his own OST for the movie, because I am very curious how it would have affected the mood and atmosphere. “The Thing” was first released to the summer audience of 1982, and was unfortunately a box office failure. 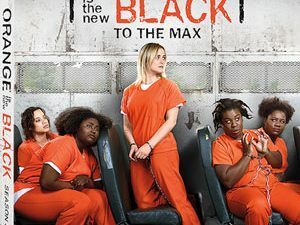 Most critics panned the film at the time, accusing it of being a lame, depressing “barf-bag” horror movie—to be honest, I can see why they might have been saying that. To understand it, perhaps a bit of context is necessary. Only two weeks earlier, Steven Spielberg released “E.T.,” a family-friendly movie about extraterrestrials. So when you think about it, at the time, would you rather have watched a heart-warming movie of a big-hearted alien trying to return home, giving his life to rescue a young boy who previously saved him, or would you rather watch a dark, grisly movie of an alien imitating people and grotesquely shapeshifting into abominations, and where the fate of the world depends on its immolation? Feelgood movie or horror flick? Considering the bad reputation that the horror genre had during the time period in particular, it should come as no surprise that critics did not take to John Carpenters grisly fantasy. To make matters worse, Ridley Scott’s “Blade Runner” also made its big screen debut on the same day, making for stiff competition in the same science fiction genre. Does that make it a bad movie? No, not at all. Quite the opposite, in fact. If you couldn’t tell before, I really enjoy the grim nature of the entire film and from a filmmaking standpoint, it is a textbook example of cinematic storytelling. Today, many critics and fans consider it a landmark movie and one of Carpenter’s best movies, for his effective combination of new and old. It did not take long for the movie to gain an ever-growing cult following and particularly on home video, the success of “The Thing” has long eclipsed its falling short at the boxoffice. Over time, many critics have changed their minds, and came to appreciate the movie. Today, “The Thing” is hailed as one of the best horror films in cinematic history thanks to its cultish following and the countless appreciative follow-up reviews. An impressive feat for a flop, wouldn’t you agree? 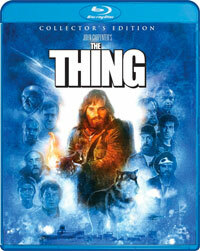 Over the years, “The Thing” was released on VHS, Laserdisc, DVD, and in 2008, as a Blu-Ray version. The problem with each of these editions was, however, that they all had their own special features, which tended to go missing over time in latter releases. Each release has had its own set of bonus features, essentially. Now, thanks to the endless efforts of the amazing people at Shout! Factory, we can finally find most of these three decades worth of supplements all compiled neatly on two disks. To name a few highlights, this new re-release includes special features such as interviews and production documentaries, including the awesome “John Carpenter’s The Thing: Terror Takes Shape”. Numerous storyboards, outtakes and deleted footage were also revived including the uncommon TV version of the movie, which is known for its alternate ending. You can pick-up a copy of the “Collector’s Edition” or the “Deluxe Limited Edition” starting on October 11, just in time for Halloween! So this fall, if you’re itching to watch a fresher take on the horror genre, take a little journey down memory road and pick up the newest released copy of John Carpenter’s “The Thing.” I can guarantee you, that blood test scene will never leave your memories.